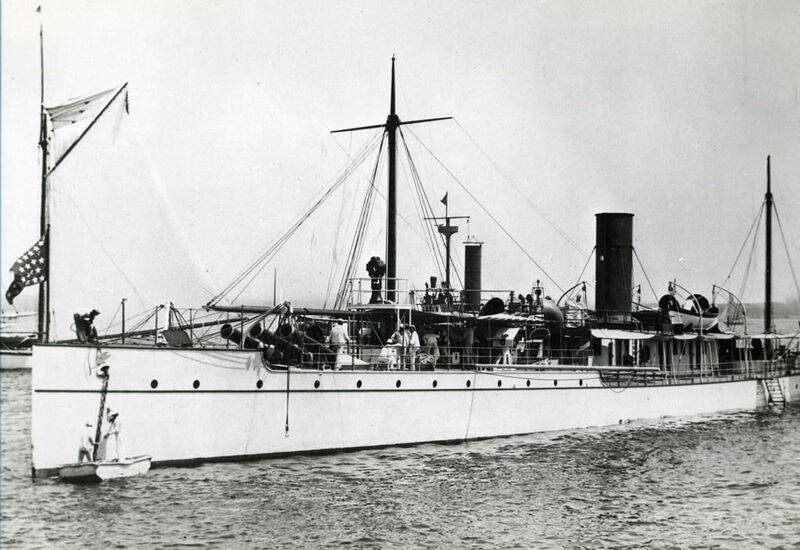 Launched in 1888 at the William Cramps and Sons Shipyard in Philadelphia, the Vesuvius was designed around the Zalinski dynamite guns she carried. 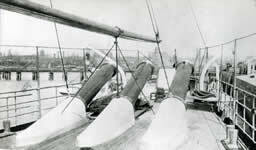 The "guns" used pneumatic pressure to "fire" projectiles containing a form of "blasting gelatin" (nitroglycerine). Structurally, they were long tubes mounted in the forward half of the ship in fixed position. The ship thus intrinsically had all the problems of the older "bomb ketch": the guns were aimed by changing the position of the ship. Further, the Vesuvius was otherwise nearly without armament, having only 5 3-pounder guns and a single machine gun, making her defenseless. With her length (252.3 ft) and extremely narrow beam (26.4 ft) she handled badly at sea, although she was fast, obtaining over 21 knots from her 4 cylinder triple expansion reciprocating steam engine at her speed trials. 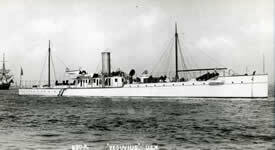 The Vesuvius was converted to an experimental torpedo boat in 1905 and served in that capacity for about 4 years. 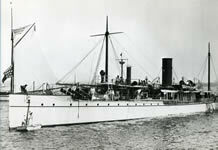 She was then used as a station ship until decommissioned and sold for scrap in 1921. Dimensions: Displacement: 929 t. Length: 252 ft 4 in, Breadth: 26 ft. 5 in. Depth: 10 ft. 7 in. 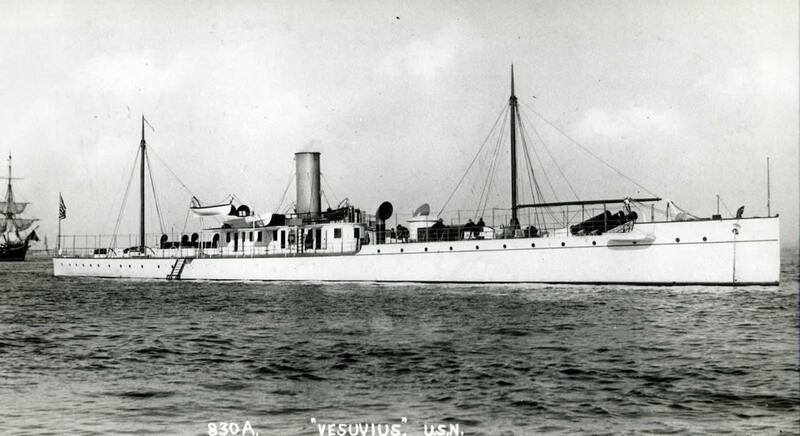 My interest in the vessel began when on a field trip with the Philadelphia Ship Model Society I found a set of plans of the Vesuvius before and after her conversion to a torpedo boat. I was taken with the lines of the vessel, but was dissuaded from buying the plan by its cost. Later, much later, I found plans for the original vessel in the National Archives, but have never again found any for it as a torpedo boat. At this time, I have a roughed out hull in 1/8 in. scale and am slowly figuring out how to make the various detailed fittings and the railings. One issue is that there are, to my knowlege, no plans for the 3 pounder guns of that era. The Vesuvius project is one of my "someday" projects, of which there seem to be more each year.